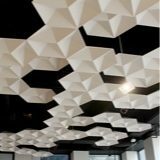 With an eye on environmental responsibility and happier customers, restaurant design is sure to see fresh new inspiration in the new year. Here are a few trends we’re excited about. “Consumers will look for more healthful, sustainable and simple choices at restaurants,” reports the National Restaurant Association, noting that restaurant-goers want more locally-sourced food, healthier menus, and eco-conscious options for dining. This shift towards sustainability can be found in restaurant design trends, as well as some purely decorative and fun ideas that will change the way we dine. Farm-to-table and locally sourced foods have been part of the restaurant business for the last several years now. 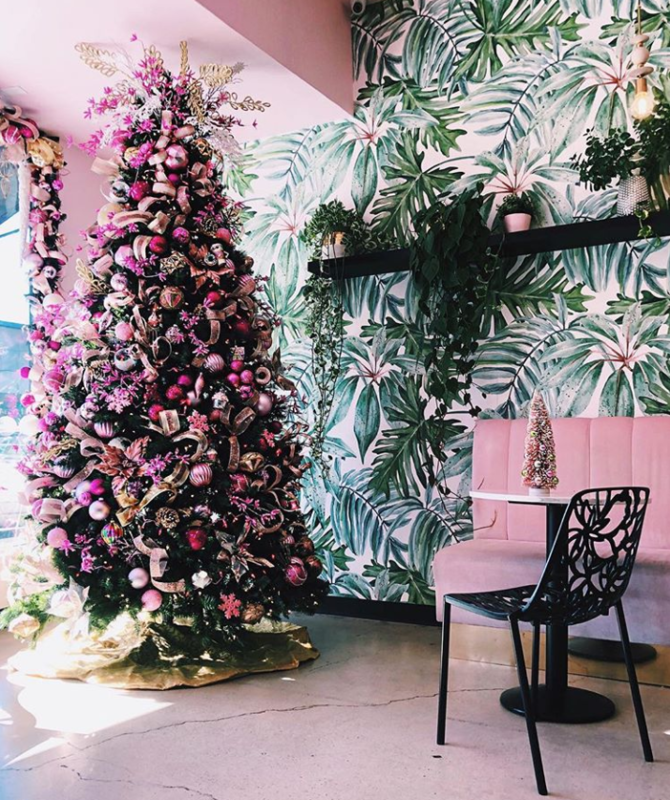 Restaurant owners are taking the idea one step further by incorporating plants, vegetables, and other themed elements into their interior designs. Washington DC’s Calico features a greenhouse and plant gardens as part of its “urban backyard” theme. The restaurant and bar opened earlier in 2017, inviting guests to enjoy its garden party ambience regardless of the temperatures outside. Grays and other neutrals have been at the forefront of interior design in recent years. But this year, color came back with a loud splash, and we’re seeing that even pastels are trendy again. Pink made its appearance throughout restaurants and eateries across the country this year. “There are also not one, not two, but three restaurants that are entirely pink in New York right now that have opened in the past year,” wrote Serena Dai for Eater. 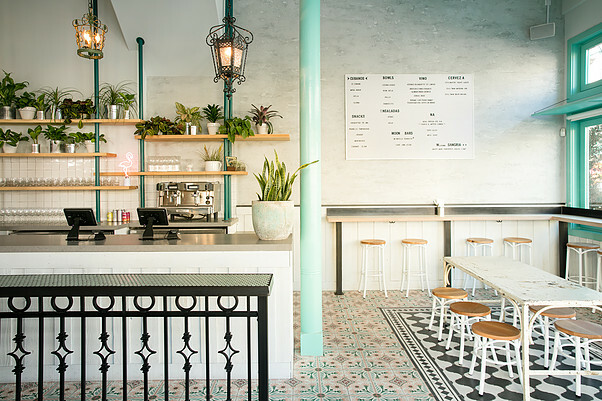 San Diego’s Holy Matcha opened its doors in 2017, as well, with soft pink being the design’s major color theme. While pink might not be your favorite hue, choosing a bold, distinctive palette for a space can make a huge impression on customers. 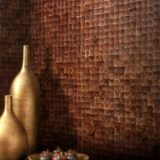 If you’re not looking to entirely remodel a space, incorporate pops of color throughout a restaurant’s layout with the strategic placement of wall tiles or prints. 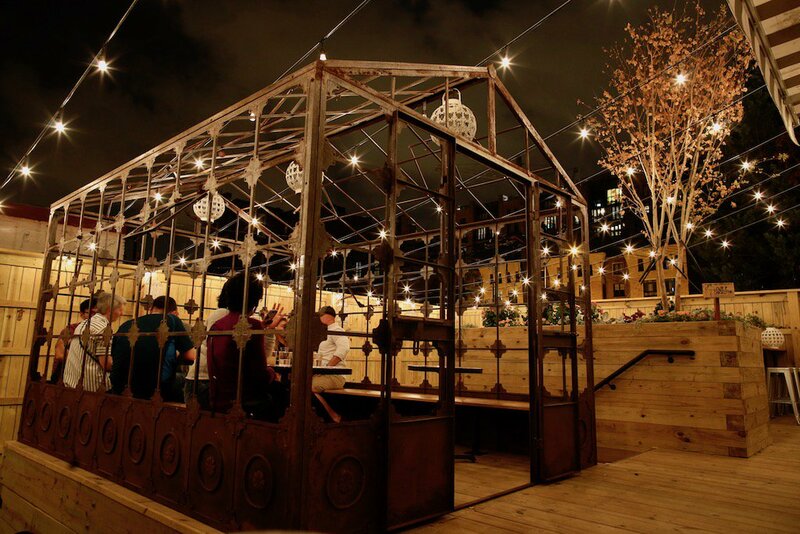 More and more restaurants are incorporating sustainable features like recycled materials into their designs. Even chains like McDonald’s, Wendy’s and Olive Garden now have LEED-certified restaurants because of consumer demand for environmental responsibility. 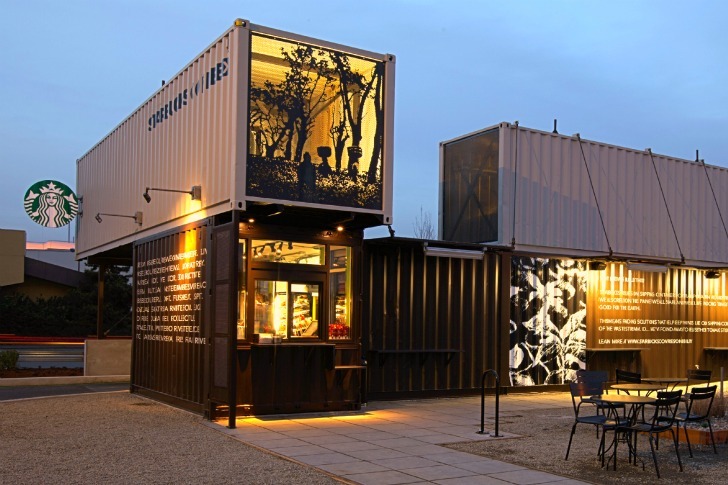 Starbucks built several of its stores using reclaimed shipping containers as a commitment to sustainability and greener business practices, and the chain hopes to achieve LEED accreditation from the project. “Our designers were inspired to create this store both as a result of the shipyard that can be seen out the back windows of our headquarters in South Seattle, as well as a desire to recycle the same kind of shipping containers that transport our coffees and teas around the world,” said Alan Hilowitz from Starbucks. 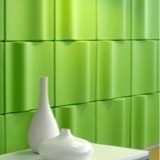 You might not have the budget to remodel a shipping container, but finding materials that are responsibly sourced is easier now with rising consumer demand for sustainable design. 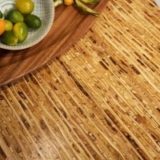 Natural materials like sorghum or coconut offer sustainable alternatives to designers, and can promote a warm, organic atmosphere in your space. Media Noche opened the doors to its fast casual concept restaurant this year, welcoming visitors into its space with fresh white features and plenty of natural light. The clean, open space is offset by hanging planter boxes, fun tropical details, and turquoise accents. Plenty of windows and skylights allow for lots of sunshine, and the distinctive floor tiles in the space are truly social-media-friendly. “Other Instagram triggers include banana-print wallpaper in the bathrooms, an old-fashioned white board menu with removable black plastic letters, and an exterior mural of pink flamingos, their heads bowed into the shape of a heart,” writes Casey Newton for The Verge. Mid-Century modern has been all the rage in home design for a few years, but we’ll start to see more restaurants embracing this retro-inspired concept. 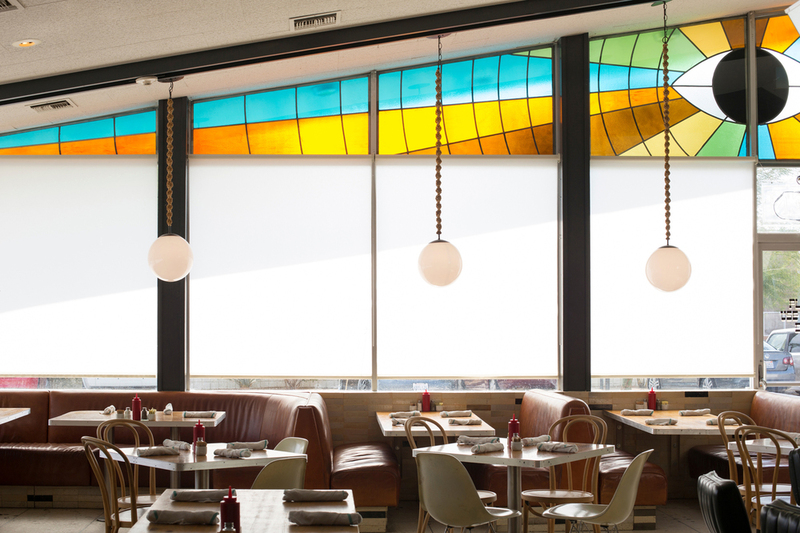 The King's Highway Diner is a renovated Denny’s restaurant, and its new space uses the classic palette of Scandinavian mid-century modern design. Clean lines, ample amounts of space and windows, and texture are all featured throughout. “King’s Highway celebrates the ineffable, bohemian spirit of the wide open West,” boasts the website. “Fabulous” Bingo takes place every Monday night! From pink-hued spaces to Instagram-worthy details, there’s no shortage of inspiration for fresh new designs in 2018. We’re excited to see what other trends, hot new features and creative concepts that designers incorporate into their spaces in the new year!